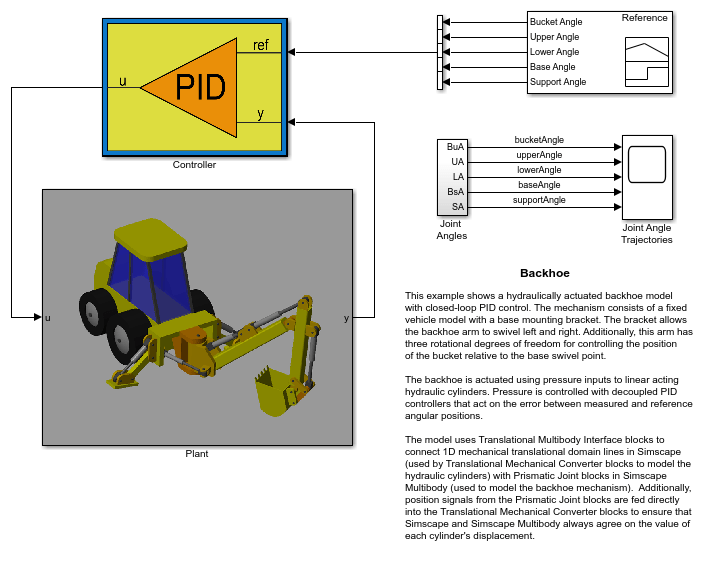 This example shows a hydraulically actuated backhoe model with closed-loop PID control. The mechanism consists of a fixed vehicle model with a base mounting bracket. The bracket allows the backhoe arm to swivel left and right. Additionally, this arm has three rotational degrees of freedom for controlling the position of the bucket relative to the base swivel point. The backhoe is actuated using pressure inputs to linear acting hydraulic cylinders. 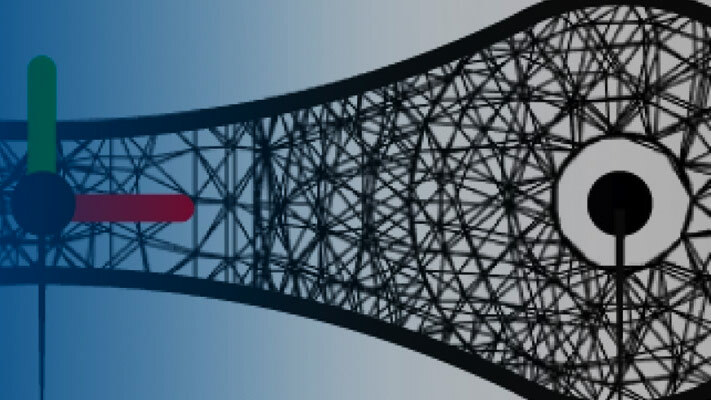 Pressure is controlled with decoupled PID controllers that act on the error between measured and reference angular positions.